When we were recently in Bangkok we had a lovely afternoon with the super gracious Gun Susangkarakan who we had met when I was giving some seminars at Chiang Mai University Faculty of Fine Arts Department of Media Arts. 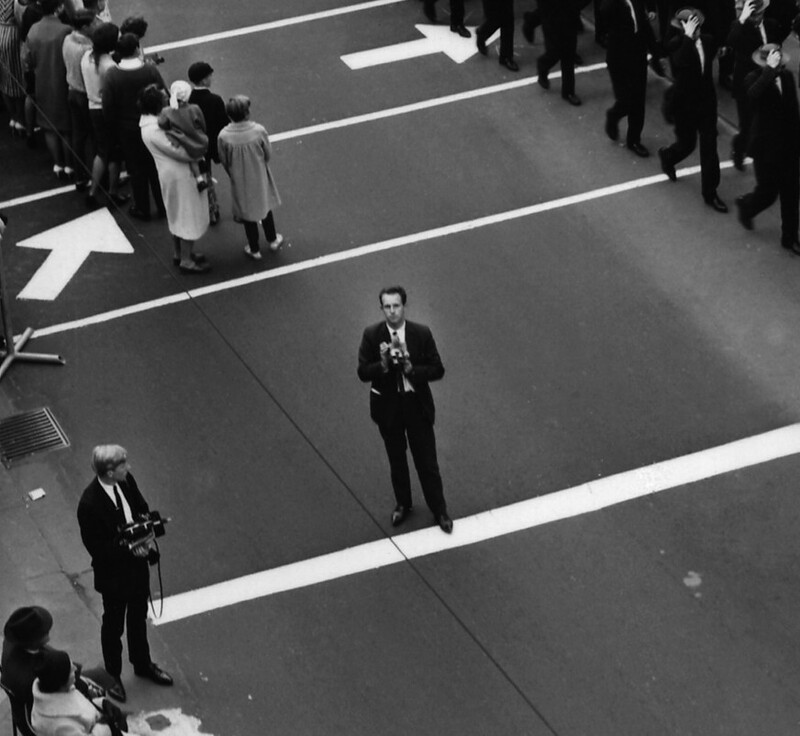 Gun is an ace temple photographer (hard-core old-school, 8×10 selenium-toned contact prints). 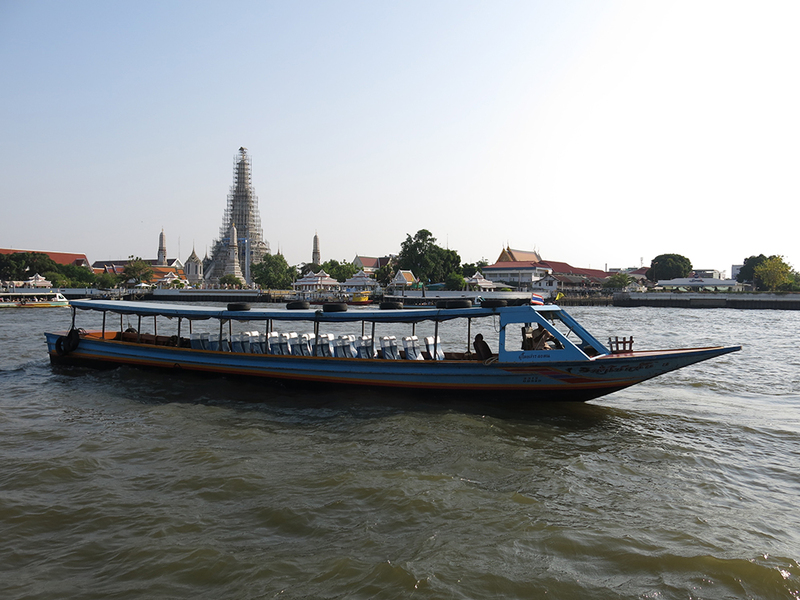 He took us to Wat Arun (Temple of Dawn). 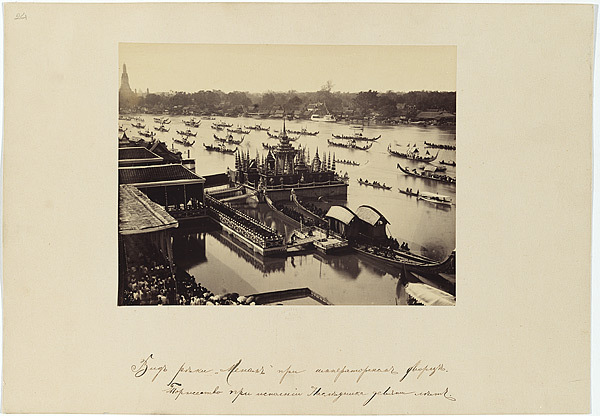 You can also just glimpse this temple in the left hand corner of Francis Chit’s fabulous 1886 shot of Prince Vajirunhis being escorted to the Grand Palace for his investiture as crown prince, which is now in the National Gallery of Australia, and featured in Gael Newton’s 2008 show Picture Paradise. 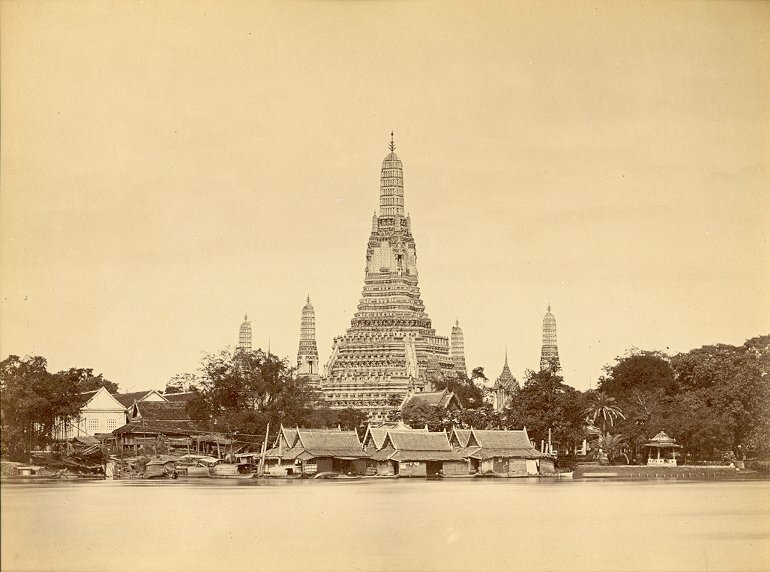 Chit had previously shot the Wat Arun from across the river in 1865. 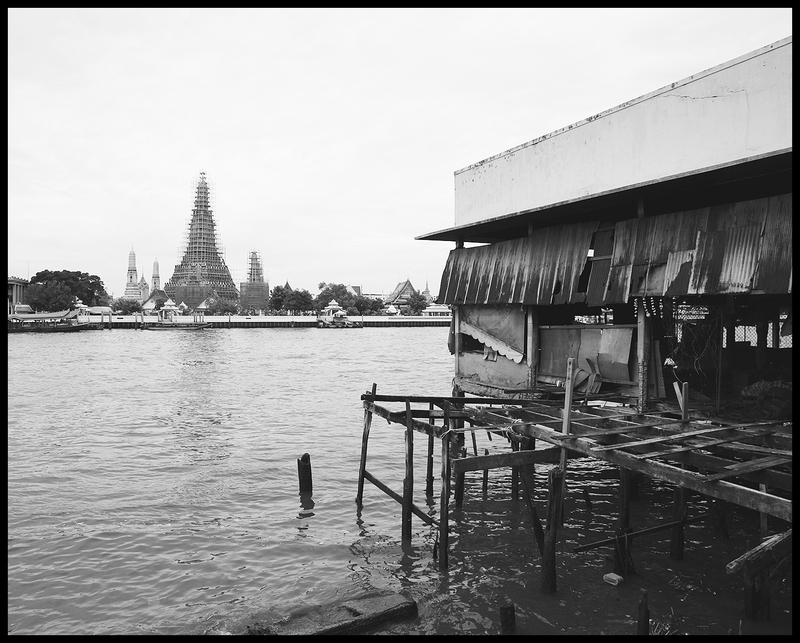 And he had climbed its stair to use it as a platform for a four-frame river panorama in 1863/64, when the river was a rice export port. 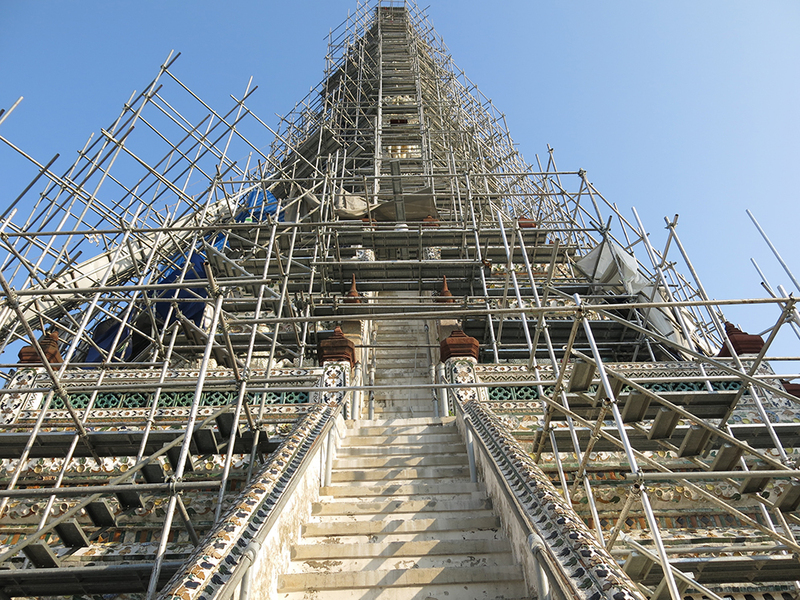 Fortunately Wat Arun is now being restored and is covered with a fine cross-hatching of scaffolding. 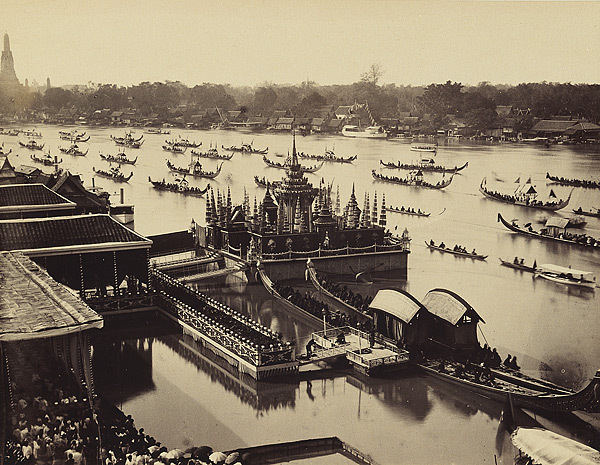 But the question remains, from where in the Grand Palace precinct did Chit shoot the investiture flotilla? Nineteenth century photographers around the world craved elevation and were always intrepid in gaining it. Did Chit get a special tower made, or was there a tower already there as part of the port infrastructure?